The simple truth is, many people struggle to stop smoking, to put down the pack for good. Could you truly quit smoking today? Here’s a new perspective. Why do we make excuses when it comes to giving up smoking, but not in other parts of our life? You wouldn’t make excuses when it comes to putting on a seatbelt when you drive. Just as you’d always ensure your children and safe and protected, wearing a helmet when riding their bike. So, when it comes to taking care of yourself, you deserve to be safe and healthy too. Breaking the cycle of smoking is no walk in the park. 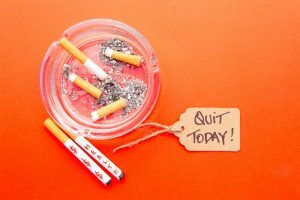 Whether its using nicotine patches, gum, e-cigarettes, memorising pages of confusing quit smoking tips, or even throwing everything in the bin and trying to achieve your smoking cessation goals cold turkey, everyone struggles to quit smoking without the proper help. That’s where we come in. What if quitting smoking didn’t need to be that hard? What if it doesn’t have to take weeks, or months, of fighting temptation and dealing with withdrawals to kick the habit? What if it only took 60 minutes to be smoke free for the rest of your life? At the Quit Smoking Expert, you can quit smoking today and put down the cigarettes for good in one hour. In just one 60 minute session you can quit smoking and start seeing the health benefits begin. What happens when you quit smoking? Say goodbye to shortness of breath, and the constant worry of cancer and heart disease, and say hello to quality time spent with your kids, a renewed vitality, and a bank account that’s under your control. Giving up smoking doesn’t have to be hard, we are here to make it as simple as possible. With our easy, non invasive, 60 minute session we are able to make your smoking habit a thing of the past! Contact us or call us now on 1300 64 53 54 and quit smoking today!